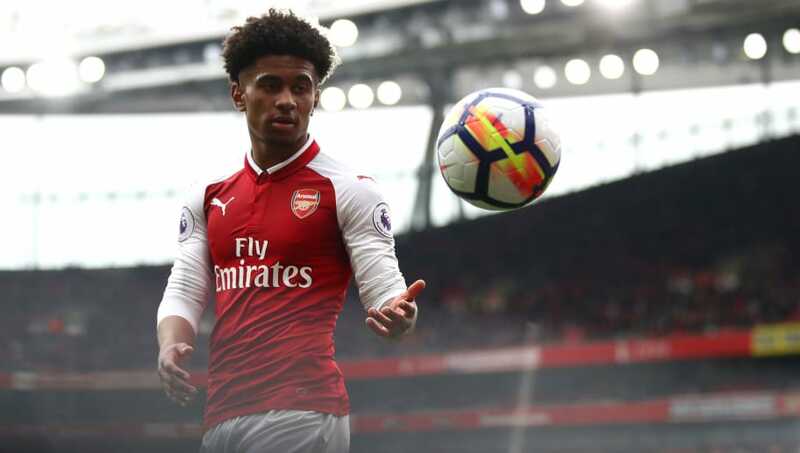 Arsenal prospect Reiss Nelson is on the cusp of a deal that will see him join Bundesliga side Hoffenheim this season, but a move to Germany won't be completed until after the teenager signs a new long-term deal at the Emirates, according to reports. The club's heavily criticised management of players' contracts in recent years has seen Nelson, who many believed to be Arsenal's most promising player, just months away from leaving north London on a free transfer. The Gunners have been working around the clock to tie the 18-year-old down to a new contract, and Nelson will put pen to paper before agreeing to spend the rest of the season out on loan with Hoffenheim, according to Goal. Last season's Premier League 2 Player of the Year will follow in the footsteps of good friend and former Manchester City star Jadon Sancho, who joined Borussia Dortmund in a high-profile deal last summer. Reiss Nelson off to Hoffenheim. Absolutely loving the bravery of all these young English players moving abroad to get their chances. Despite not being given any game time at the Etihad, Sancho has gone on to announce himself as one of the most exciting players in Germany, and the 18-year-old even assisted Marco Reus for his 100th career goal in the Bundesliga on the opening weekend. Not only will news of Nelson's new contract be music to the ears of Arsenal fans across the world, but seeing their new golden boy work under one of the most exciting coaches in Europe this season will be exciting for supporters to witness. Although Hoffenheim's Julian Nagelsmann will be leaving the club next year, the young manager will have the chance to work his magic with Nelson this campaign, having coached former Arsenal star Serge Gnabry to 10 goals and seven assists in just 26 games last season.